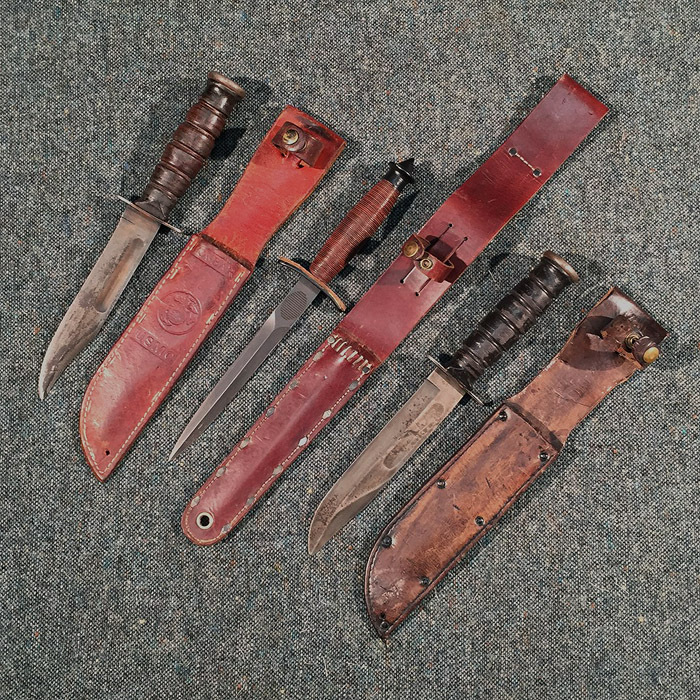 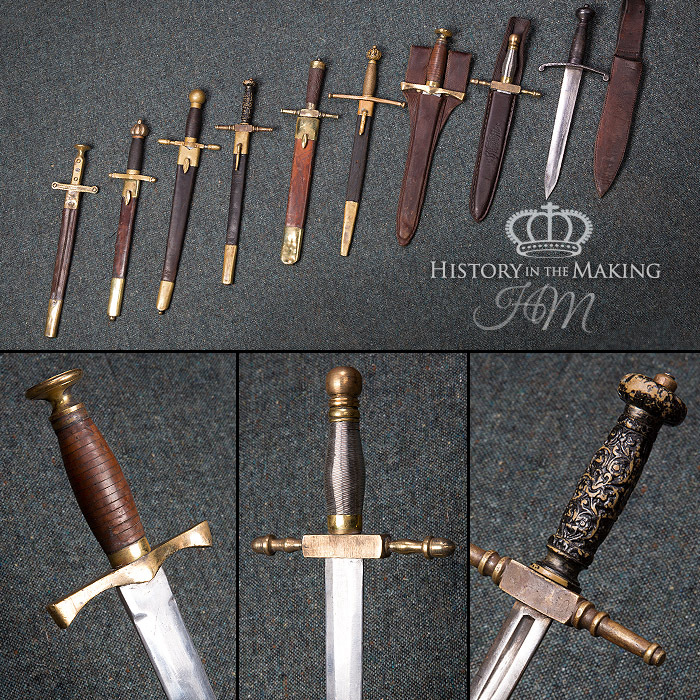 Within our Armoury we have a large stock of Daggers, Knives and Bayonets. 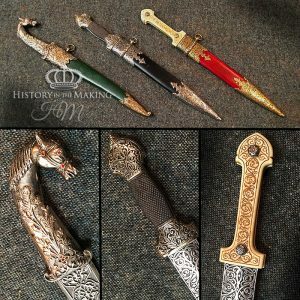 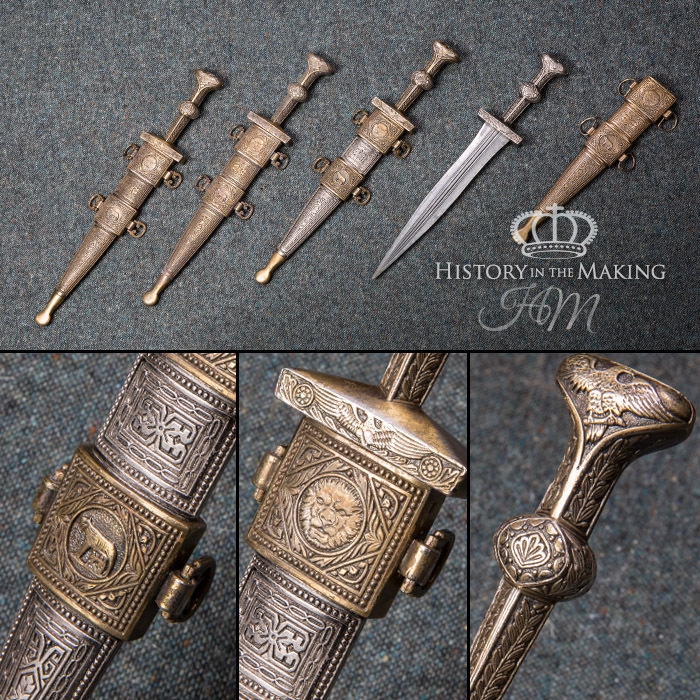 Our collection of daggers are designed to compliment the Sword Collections. 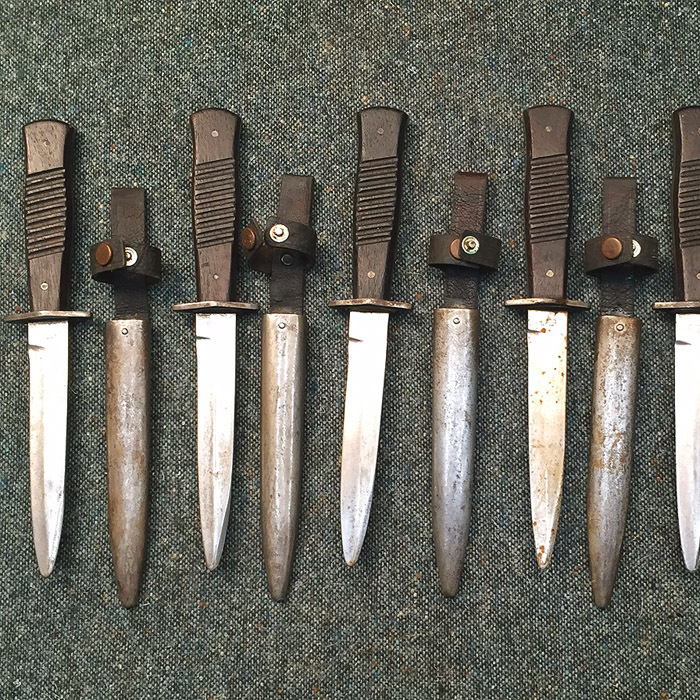 Our In-House manufactured Duralium Bladed Daggers are designed for stage combat and are very durable, but lightweight. 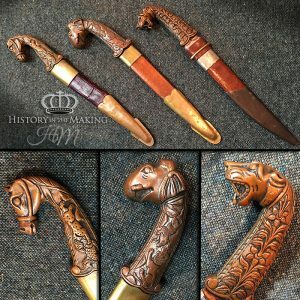 By their nature, the Daggers are mostly individual in design. 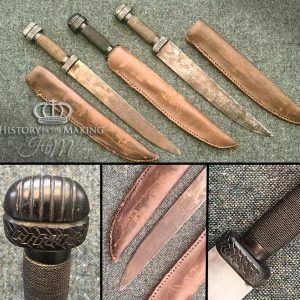 Most are supplied with a matching scabbard or Sheath. 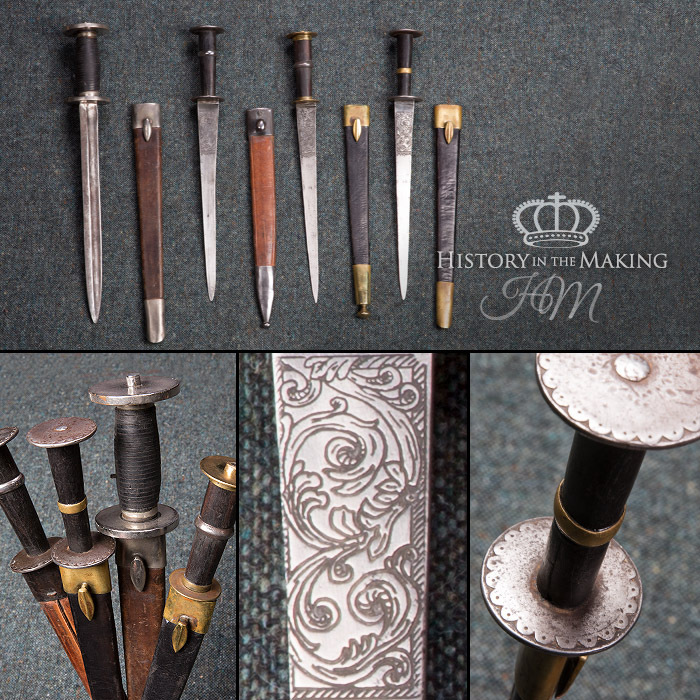 All of the daggers can be carried on a sword belt or waist belt in a leather Frog.